CarGurus has 930 nationwide GranTurismo listings starting at $24,565. Celebrating its 100th birthday, the Italian car company Maserati includes the limited production MC Centennial Edition the for 2015 GranTurismo. This beefed up beauty packs a more powerful engine and carbon fiber accents throughout the interior. This super-exotic coupe is the pride of Italian design and style. Rolling hot out of the paint booth for the newly facelifted, more aerodynamic body, come 3 new tri-layer exterior colors. These palette options include your choice of two different grey shades or an azure Inchiostro Blue if it pleases the eye. And to complement the fresh paint, you now get one of four new special finishes for the 20-inch wheels that will turn the heads of jealous Aston Martin and Mercedes owners. You just can’t get enough enjoyment from driving the GranTurismo. All the power delivered from its 4.7-liter V8 engine outputs through the rear wheels. Having 454 hp under your foot in the MC is nothing short of breathtaking, especially when combined it with the car’s eager yearning for the corners and its 4.5-second 0-60 time. Smooth and comfortable at any speed, the GranTurismo has a prestigious and spirited soul. 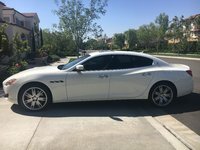 And thanks to the same smooth ZF 6-speed automatic transmission that’s found in the Quattroporte, gas mileage won't stray far from 16 mpg city/20 highway. A GranTurismo is surprisingly spacious for a 2-door coupe, but passengers may have some difficulty accessing the rear of the cabin. The cabin still offers 92 cubic feet of space for you to work with, including plenty of leg and head room for up to 4 passengers (even taller ones) and a rear cargo area that perfectly fits a pair of golf bags for a day at the course. Luscious body-color-matched Poltrona Frau leather surrounds you with the attention to detail you would expect from a European supercar. The inside only really lacks the up-to-date technology and infotainment features you can find in the likes of a Bentley Continental GT or Aston Martin DB9. Also underpinning the Ghibli and Quattroporte platform, the GranTurismo's adjustable SkyHook suspension maximizes ride comfort and maintains optimum handling. A non-adjustable suspension is available for a livelier cornering experience, sacrificing some dampening. Combine this with an extremely low ground clearance and wide wheelbase, and the GranTurismo feels at home in a high-G twist. Just be careful not to scrape the bottom on bumpy roadways. Whether you choose the Sport or the MC, the GranTurismo has easily found a harmony of styling, comfort, and performance. There’s even a drop-top in the lineup. It still costs you as much as an Audi R8 or Porsche 911, but it comes with that swanky Italian flair. With the new centennial-edition GranTurismo, Maserati shows its maturity. Someone looking for a car driven by emotion should look no further than this slick machine. Rumors say in 2017, a more powerful model available with an even more slimmed down body will debut. Until then, the GranTurismo is the most exclusively beautiful thing on 4 wheels. 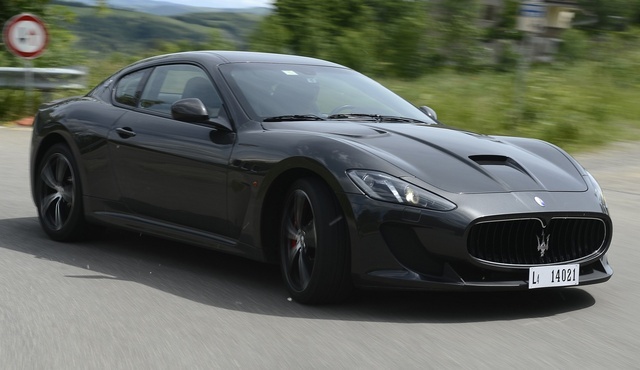 What's your take on the 2015 Maserati GranTurismo? Users ranked 2015 Maserati GranTurismo against other cars which they drove/owned. Each ranking was based on 9 categories. Here is the summary of top rankings. 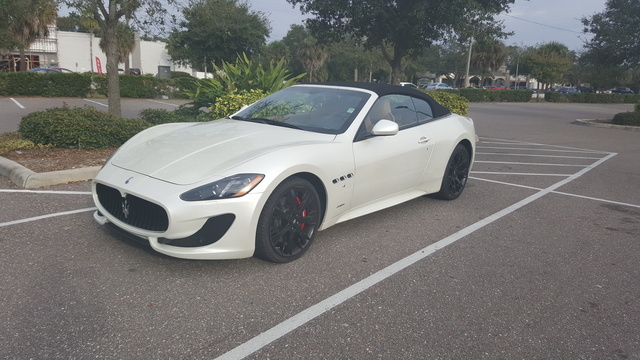 Have you driven a 2015 Maserati GranTurismo?